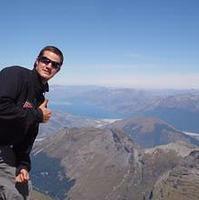 Always keen for a hike..... usually around the Queenstown area. Drop me a line and we can chat. Heres a bunch of pics of some of the places that I've been to. http://www.panoramio.com/user/210666 Anyway..... happy missions in the hills all of ya!